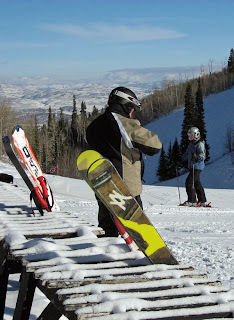 Park City, a Vail Resort. A decrease in California skier visits is pulling down the profit margins for Vail Resorts, but an increase in their Utah and 4 Colorado resorts is making up for it. According to the Denver Business Journal, Vail’s CEO, Robert Katz, said the profits from the Colorado and Utah resorts are enough to “overcome terrible snow conditions” at Lake Tahoe. Skier visits to Vail Resorts’ three California resorts (Heavenly, Northstar, and Kirkwood) is down 23% percent. Katz hopes the snow will fall in California to bring normal operations and skier visits to the remaining portion of the season. Robert Katz was named Chairman of the Board of Directors for Vail Resorts in March of 2009. Prior to joining Vail Resorts, Katz was associated with Apollo Management L.P., a private securities and investment management firm.